The Grande Vista is A&S Homes’ newest 1,845 sq. 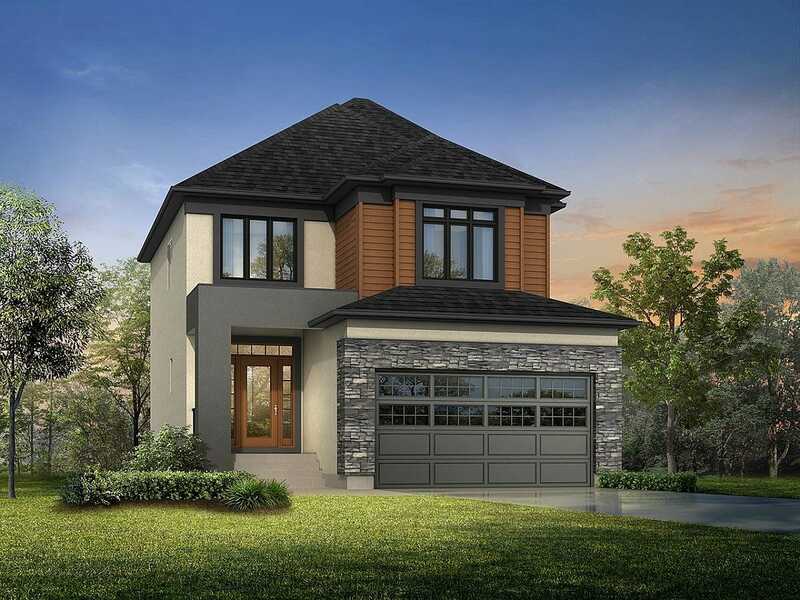 ft. 3-bedroom, 21/2 bath, 2-storey design. The soaring 18′ grand entry accompanied with 9′ ceilings throughout the main floor provides a very welcoming feel when entering the home. The house shines with tile and laminate flooring accompanied by quartz countertops and a chrome spindle curved staircase. The kitchen features custom flat-panel oak cabinetry, a large island with raised bar, tiled backsplashes, a walk-in pantry and triple glass sliding doors leading to the large deck. The open-concept layout is suited perfectly for entertaining with the dining room flowing into the great room featuring a built-in entertainment unit and fireplace. The master bedroom features a double-sided fireplace, a large walk-in closet and a deluxe ensuite with a custom tiled glass shower, a 5′ jetted drop-in tub and double vanity sinks. The exterior of the home has a full glass entrance door with double side lights, an abundance of large windows, and is finished beautifully with brick, wood detailing and acrylic stucco. Log in or sign up to instantly see The Grande Vista. Square Footage: 1,845 sq. ft.